Improve response rates to your mailer by adding colour images or text while your Envelope Address Printer is printing addresses at speed, even our basic Envelope Address Printer will print barcoded addresses at a rate of up to 4000 per hour, while eliminating the need to purchase address labels and the time it takes to print and attach them to your mail. If you’r bringing your marketing in-house, or you do mailers on a regular basis an Envelope Address Printer is an ideal way to improve your mailing process. The AJ-5000 is an entry-level inkjet address printer with the ability to print in brilliant, full-process colour. 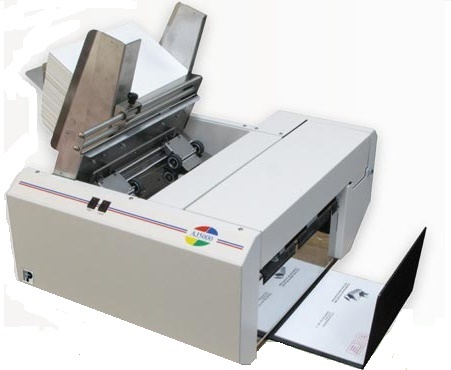 Its shuttle-head design gives it a print area of 215mm wide by 355mm high, allowing printing of entire/complete postcards, envelopes, flats, and documents all in a single pass. 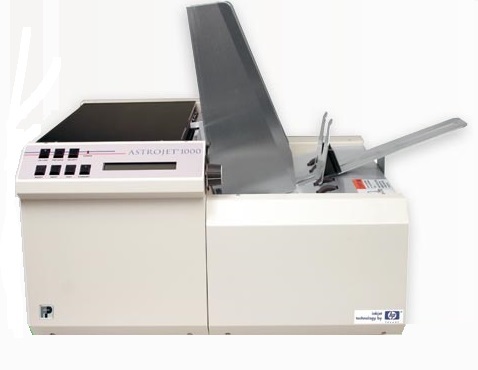 The AJ-5000 is capable of printing Delivery Point Barcodes, to qualify for lower postal rates and faster delivery. The M1 uses pioneering memjet® technology to produce the fastest colour envelope printing in its class. Capable of pushing up to 7,500 envelopes-per-hour, this powerhouse can cover all your paper printing needs with a rich 16.8 million-colour palette with a super-sharp 1600×1600 dpi print resolution. 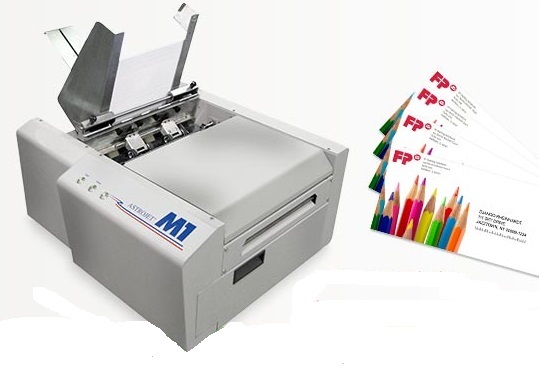 Whether you’re a corporate/organizational mail room, a dedicated print shop, marketer, or mailing house, you’ll find the M1 to be a compelling solution for your colour printing needs. The versatile AJ-1000 has a feed system that has three rows of high grip rollers and the capacity for materials up to 6.3mm thick. A key feature is the split 3+2 print-head configuration that allows mailers to print the recipient address, return address, and permit indicia all in a single pass. It is capable of printing IMB, including USPS® Delivery Point Barcodes, to qualify for lower postal rates and faster delivery.